Fenton, MI – Atlas Technologies announced today the completion of an extensive Mold & Die Storage System for a Northwest U.S. based major Aerospace manufacturer. Atlas has been an automation partner with this manufacturer for the past five years providing quality capital equipment. The project installation was finalized the beginning of August 2017. The unique storage racking system is engineered to customer specifications to assist with their increasing production demands moving into the future. The system will function in coordination with their current mold & die methods and equipment. The storage system is also configured specifically to conform to the existing floor plan in the manufacturer’s facility. Atlas Technologies designed the storage system to accommodate a maximum die and mold weight capacity up to 66,000 lbs., with varying weight restrictions among the numerous racking tiers. 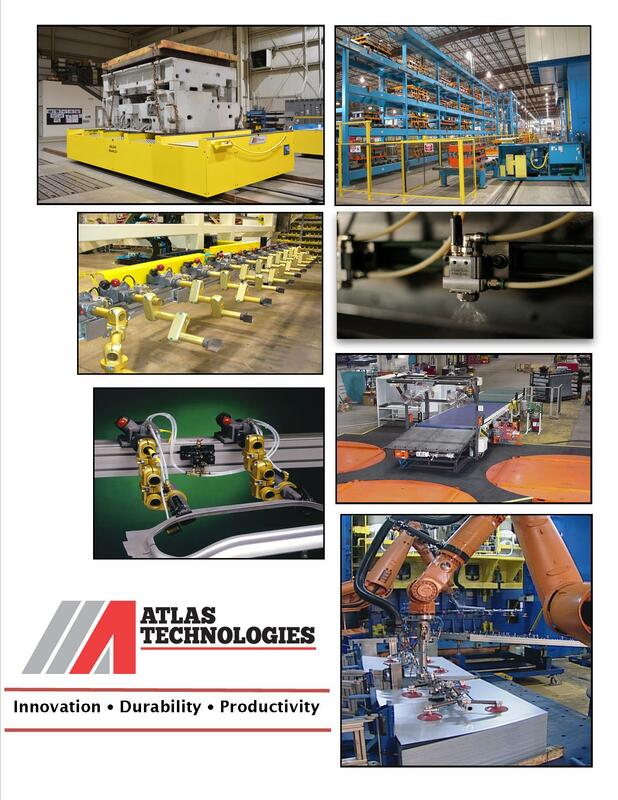 Atlas Technologies has been an established producer of Automated Solutions for the past 50 years. We are known for our robust innovative designs and equipment that service numerous industries. Our consistent and reliable quality products are the key to our long successful history of servicing our customers repeatedly.